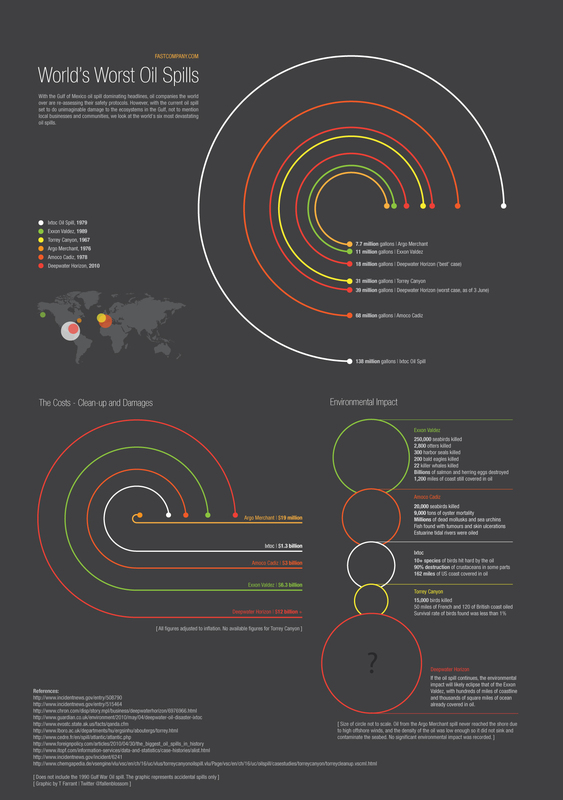 This infographic isn’t tremendously ambitious, but it doesn’t need to be. The visuals are done in a cool way, and you come away with a good perspective of the different types of damage for the spills. While the final figures may be off, I think it’s good to work with estimates to get some perspective on a current issue, and they make the fact that they’re using estimates clear. 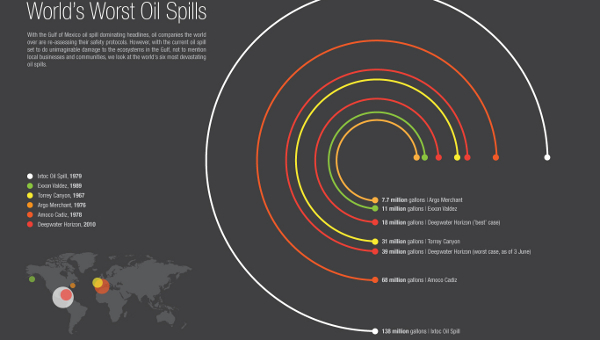 I also like that while the infographic serves as a nice reference of comparison for previous oil spills with the core of the important information, there is a clearly intended point to this one. Fast Company talks money, and their point here is that the spill may not be the biggest, but it is the most costly, based on its proximity to the coastline. This infographic was made for Fast Company, in an article that can be found here. This entry was posted on June 28, 2010, 9:00 am and is filed under Environment & Nature, Money. You can follow any responses to this entry through RSS 2.0. You can leave a response, or trackback from your own site.